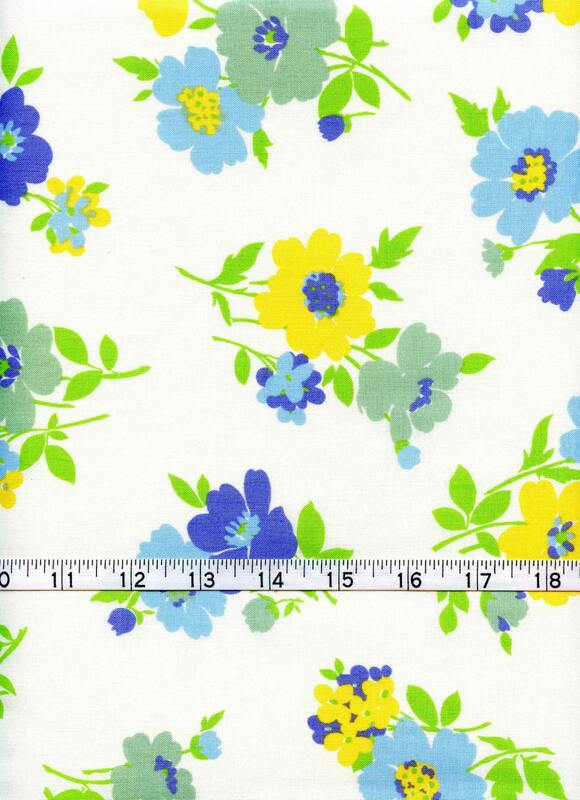 This style is called "Spring Sorbet".... Big beautiful yellow, light blue, royal blue and aqua flowers with bright lime green leaves on an ivory white background. Each panel features a different bouquet alternating between twos and threes with singles on the back. So bright and vibrant. 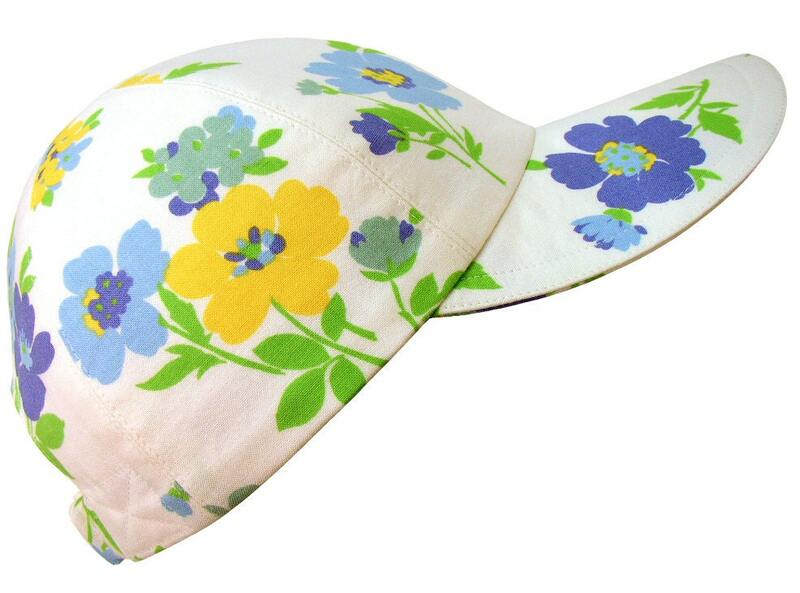 Ivory top-stitching, light blue grosgrain band on the pretty, white-on-white floral print cotton lining.